If you haven’t read Chump Crickets part 1 from last week yet that would be a good place to start. 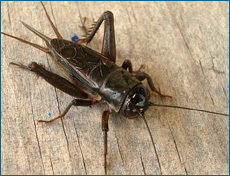 For the rest of ya here IS WHY I AM SO EXCITED about these crickets! This is promising news for people keeping treatment-free bees if they can stay the course, be patient, and allow bees and mother nature to do their work.. If this form of resistance just happened once I might be inclined to think that it was a fluke and bees couldn’t be as adaptive and resilient as a single lucky population of crickets with a single mutation. BUT IT is WAY BETTER THAN THAT!!! The first time that this was documented was in 2006. The article from couple of months ago was NEW and reported that mute crickets had been found on yet ANOTHER Hawaiian Island 100km away from the first. Both populations of crickets have reportedly developed MUTE males THROUGH TOTALLY DIFFERENT mutations resulting in mute male crickets….. to combat the same parasite via a different mechanism…. This is an amazing example of convergent evolution. This is the main difference between humans and nature. We look for “A” cure for things while nature continues to explore for any and all methods of survival. How about a mammalian example… This time introduced parasitism isn’t causing the selection. It’s humans with guns. When a poachers target elephants that have ivory tusks a selective pressure is being applied. See BBC News Africa – Elephants ditch tusks to survive. Turns out that elephants lacking tusks DON’T GET POACHED as often. So elephants withOUT tusks are more likely to get together resulting in TUSKLESS progeny. A change in selective pressure is CHANGING the elephants in these African parks to an elephant with no tusks. 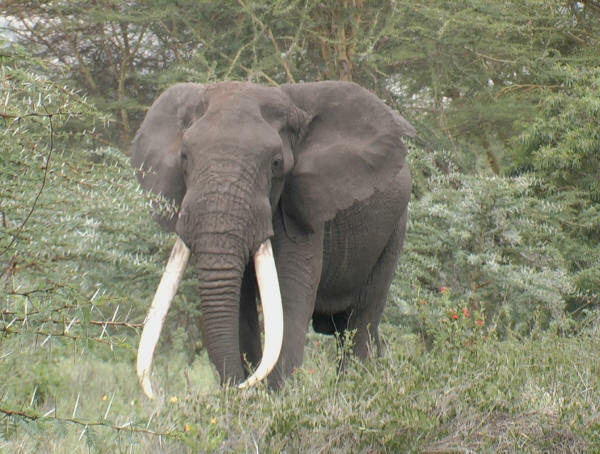 Researchers claim that female elephants prefer males with tusks… but if there aren’t any tusked bulls around…. In 1930 – 1% of elephants in Queen Elizabeth National Park in Uganda were tuskless. In 1998 the same park reported 15% females and 9% of males were tuskless. In Zambia’s North Luangwa National Park researchers reported that in 1997 38% of elephants in the park HAD NO TUSKS. 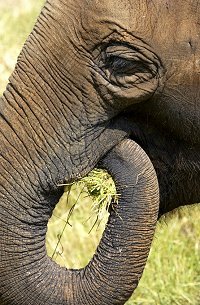 Other researchers reported that in unstressed populations of elephants only 2% of animals are tusk-less. Bees, like crickets and elephants are a lot more resilient as a species than people give them credit for. The ones that can live with varroa mites and all the other obstacles of today as a new part the equation survive through whatever novel means THEY have developed. Part of the equation that must be calculated is that colonies in any operation will fail from time to time. 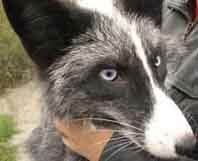 The ones that cannot deal with the pressure, DIE removing them from the breeding population. Only the bees suited to live on this planet now persist, not the biggest, strongest, fittest, of a certain color, temperament or brood pattern. We may not have the ability to even perceive the adaptation(s) that translates to survival initially. So What if anything besides overwintering should be our prime selection tool? So what say you beekeepers? Can you put faith in the natural order that has shaped all that is around us to fix this? Are Scientist exploring all solutions to these problems or only with MARKETABLE ones? If these solution could be free to beekeepers and bees would Scientists be shouting it from the rooftops? This entry was posted in Genetics, Posts and tagged bee, feral bees, genetic resistance, Indiana Beekeeping. Bookmark the permalink. I am not a scientist, and I cannot even call myself a beekeeper as I do not have any at the moment, but I totally agree with you. Just create a proper, healthy environment, and let them deal with the challenges they face. For example, everyone agrees that honey is a supper healthy stuff. So why so many beekeepers feed bees with sugar or other “empty” food? Just LetMBee with the least intervention..
Varroa is not a very difficult problem. It can be solved with behavior. Have a mite, then leave the hive until you can groom it off. Doesn’t seem a stretch and I often see bees grooming away from the hive. In agriculture, ecologists and evolutionists are rarely consulted, even if they are much more grounded in systems theory. A bottom up ecological approach puts genetic diversity back into the system making it more resilient. That’s science the agriculture community chooses to ignore. It also chooses to ignore the ecological basis for living. To live comfortably, means living within the carrying capacity. Economic systems that push against these basic ecological truths are the things that should be questioned and discarded. Modern industrial agriculture really isn’t about science, but about economic distortion. Thanks for reading leroy. I actually don’t care how the bees deal with the mites, just that they do. Don’t know if it will be grooming or some other novel approach. I think a lot of mine swarm in the summer and still produce a good crop. I am not sure and haven’t witnessed swarms from any hives in several years, but it’s the most logical explanation to me. Mechanism isn’t important, just that it’s effective. As large as my trapping area is I may have more than one mechanism being employed. Neat stuff. One thing IS certain. The more bees that are out living in the Feral Reserve the more varied and novel the approaches will get until one becomes the dominant adaptive mechanism for the species. I know I have colonies that are resistant to varroa because if they weren’t they would have died long ago. Carrying capacity is a very hard concept for many to get their heads around. What happens when CC is exceeded is just too terrible to think about when we’re in a world of something like 8 billion people that have only just really BOOMED in the last 500 or so years. The more adaptable the species the more likely they are to remain unchanged as a species and bees have been here a long time. There is no doubt that modern Ag is what it is…. the world has always been changing. This has all happened before in other Ag based systems. The main thing to remember is that adaptability is the savior of not only bees but humans as well. We should have adaptability in all our plans, not just beekeeping. I think that Science is employed in beekeeping today far too often. In order to convince others to do as outlined by Science. “Spend your money HERE……” In a profession that is thousands of years old, all but the last 150 years without chemicals and feeding somehow now is in peril? I don’t buy it. The problem is in the methods. In the mono-crop agricultural system I live in the main reason there are decreased feral hives is because of lack of suitable cavities. Old trees are cut down here. It is my belief that mono-crop areas produce hardy feral stocks of bees that thrive in the environment somehow. The bees from certain areas end up making up large numbers of my colonies and when placed on more productive flowering areas can make large surpluses of honey while taking care of themselves. Things are the way they are, but we can use the way things are to make bees more resilient.